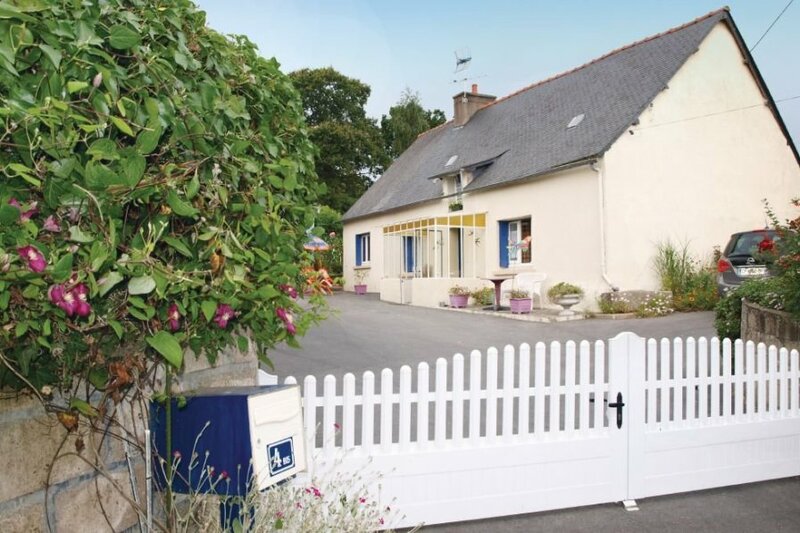 Ideally situated in a quiet area in the heart of Brittany, this charming single storey holiday house is ideal for those who wish to discover this beautiful region. It offers a courtyard on the front. Ideally situated in a quiet area in the heart of Brittany, this charming single storey holiday house is ideal for those who wish to discover this beautiful region. It offers a courtyard on the front, a garden at the rear and spaces for rest and relaxation. You will access the lounge (where a "Flipper" is available) by two small steps. Thanks to the nearby highways, you can easily explore the region, going from the Gulf of Morbihan to the peninsula of Quiberon, from Carnac and its menhirs. In Finistère, you will discover churchyards, old stones and great beaches and in the Côtes d'Armor and Ille et Vilaine, you will enjoy sandy beaches and islands (including Bréhat). The house is also close to Lake Guerledan. From May 2015 to October 2015, the lake will be emptied completely and you will be able to discover the submerged valley and its stunning landscapes. Huelgoat, remarkable sites which are worth a visit. This solidly constructed villa was originally built in 1960 and refurbished in 2011. The agent has rated it as a three star property so it is a well-kept villa, equipped with standard furniture. It is also good value for money. The villaIt is located in Habitat Epars, 20km from Pontin. It is set in a good location: there is a restaurant 2km away.